One of the reasons I made Larceny in the first place was that there aren't a lot of heist-themed games out there. 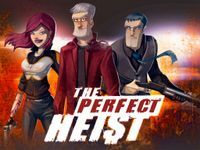 Plenty of games have elements of stealth or crime, but the heist theme is under-represented. 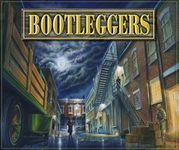 What are some games that take the heist theme and run with it? 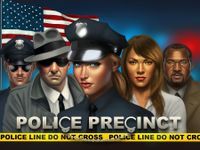 Go wide with this one, stealth games, crime games, criminal characters and crimes in games, anything that explores the theme is fine but I'd love to find some games that are heist specific. Obviously Larceny explores the heist theme in several ways. There's the standard mode where the heist is set, there's the storytelling Best Laid Plan mode where you plan an entire heist, even "Heist" mode itself where the whole team works together to pull off the perfect heist. An entertaining stealth/line of sight game, this one actually fits neatly. Players take on the role of novices sneaking out after hours, trying to steal their chosen special item from Mother Superior. Just about the reverse of Nuns on the Run. One player (Mister X) is on the lamb trying to escape those goodie-two-shoe'd bobbies! Cooking hooch, selling it to speakeasies, and evading the cops. Good fun. In my book, probably the best Clue game out there. Grab the loot and get out without being caught. 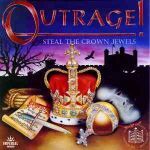 A memory game about stealing the jewels. Classic Oliver turned into a Euro. This one's all about stealing stuff but getting a bit harder to come by though there's a lot of folks trading it away. 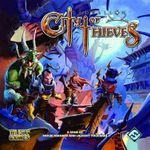 For a more modern thievery game still set in a fantasy world, try this one. A bit self-serving, because I designed this game. I wanted a heist game that focused on the criminals more than the caper. It's a game of uneasy alliances, underhanded dealings, blackmail, and double-crossing. You bring people into a deal on a promise and then pray that you can keep it together long enough to pull off the job. The loot and equipment factor into it, sure, but largely to give you leverage in dealing with other players. As in "I'm bringing the most to this deal, so I want a bigger cut." The most fun is watching the psychology of people at play. Nice people relishing their turn at duplicitous cons, blackmailing and holding people hostage to their sabotage cards.